Pack of four (4) rectangular shaped electrodes with rounded corners, measuring 90x50mm. 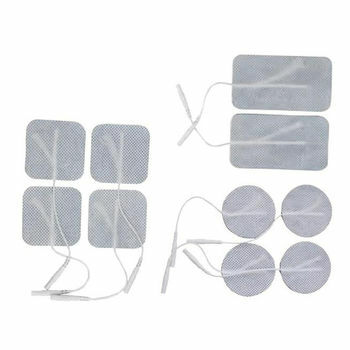 Also called TENS pads or TENS patches. With proper care and storage, these electrodes may be used multiple times. The number of uses will vary depending on skin type and preparation, storage, climate and general use. Note: It is recommended that you have any serious injury assessed and diagnosed by a medical professional.